This four hour AARP Driver Safety course is designed to refresh driving skills and review important safe driving practices and strategies. Students will also learn the signs of unsafe driving and how to assess their own driving skills. Those who take this course can save on their car insurance. Please call your insurance agency to discover how much you will save by enrolling in the AARP Driver Safety Course. Note: If you have not taken the basic or another advanced class within 3 years and 90 days of this class, you will not be entitled to a 15% insurance discount. If you have never taken a basic Defensive Driving class and you take this class, you will not receive any insurance discount or point credit. 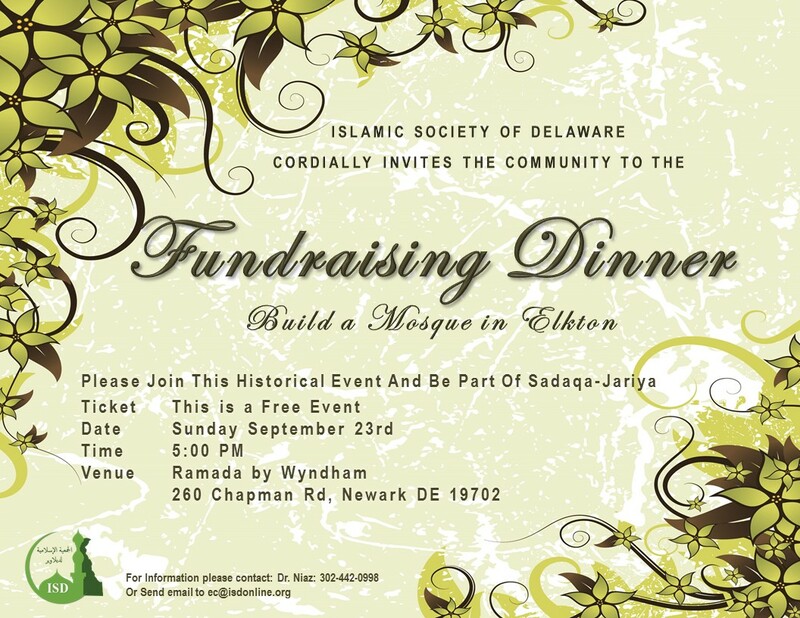 Islamic Society of Delaware (ISD) invites the community to the Fundraising Dinner for buying a suitable property for a Masjid in Elkton Maryland. Please mark your calendar for this special event to support the new Masjid and be part of the Sadaqa-Jariah. ISD Weekend School started on Sunday September 16th. School registration is still open for new and returning students. 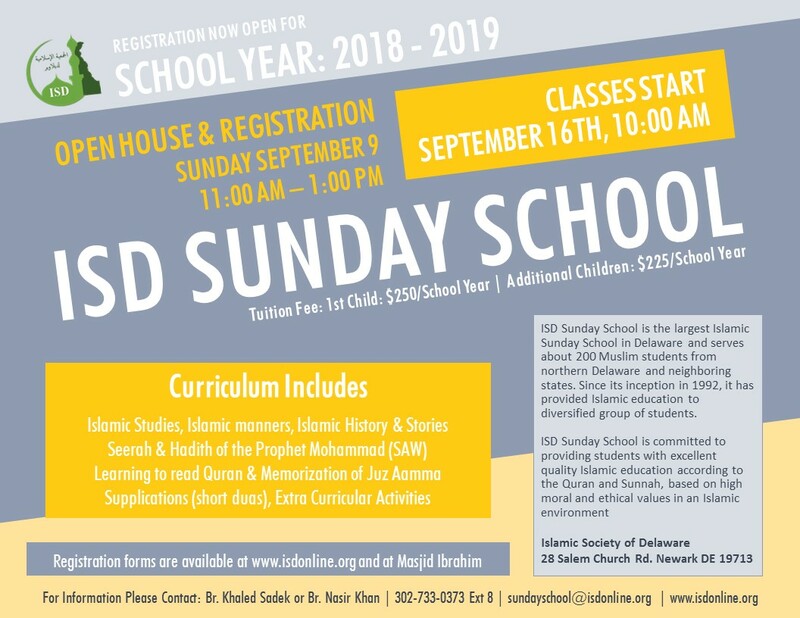 Sunday School also offers a Youth Program for Youth 14 and above. This is an interactive program allows teens to actively participate in discussions and learn under the guidance of qualified instructors. The curriculum for Youth Program will include the following. 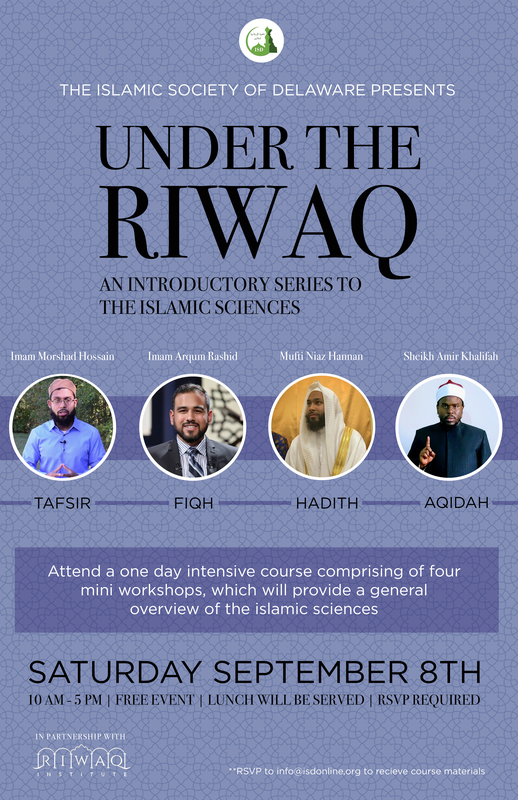 Islamic Society of Delaware in partnership with Riwaaq Institute presents a full day of mini workshops in the areas of Tafsir, Hadith, Aqeedah and Fiqh. The aim of these workshops is to instill the basic knowledge of the important Islamic areas among the youth and adults alike. Please join us for the ISD Eid Al-Adha Celebration Picnic on Sunday September 2nd at German Club Picnic Area near Masjid Ibrahim. Free parking will be available at German Club, Masjid Ibrahim and on Salem Church Road. 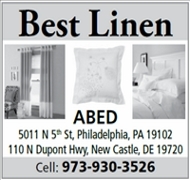 We have arranged for Games, Moon Bounce and Slide for kids entertainment. Fresh BBQ Food and Ice Cream will be available for purchase. Based on the announcements made by the Saudi Officials, the sacred month of Dhul Hujjah started on Sunday August 12, 2018 and Eid-ul-Adha will be celebrated on Tuesday, August 21st, insha' Allah. The first ten days of the month of Dhul Hujjah are great in virtue and it is from the Sunnah to increase in worship and good deeds; especially fasting on the Day of Arafah. Islamic Society of Delaware wishes a happy and joyous Eid to the community. 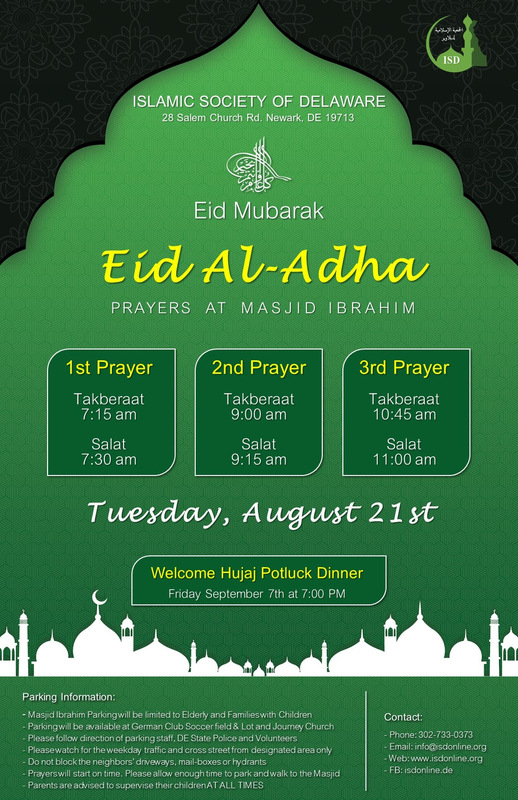 Insha' Allah, We will hold three Eid Prayers at Masjid Ibrahim as following.